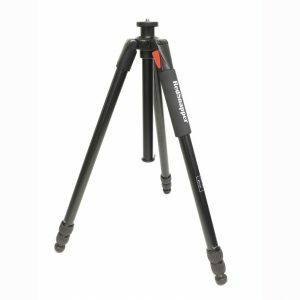 RSF-324 Alloy 4-Section TripodThis a 4 section professional alloy tripod that is the next logical step up for discerning photographers who realise the necessity for the best support available for their equipment.Redsnapper tripods set the standard for professionals and advanced amateurs. 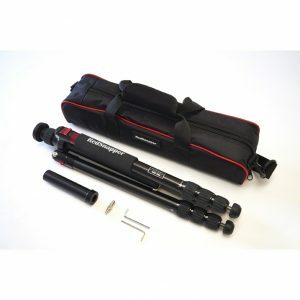 The aluminium range has been completely revised with new features and materials in order to offer lighter, faster and more stable supports.The centre pole is reversible allowing your camera to be positioned close to the ground OR you can change to the optional short centre column that is included to get you ‘low down’. 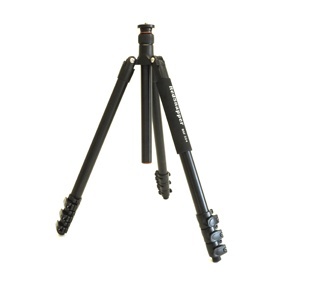 It also has a sprung loaded hook to hang a weight from to give more stability to the tripod.The tripod comes with a quality padded case.The legs are adjusted and locked via a very robust flip lock system.The rubber foot has the advantage of converting to a metal spike for secure footing by simply exchanging for the spiked feet that are included with the tripod kit.